The Tenderloin is a neighborhood in downtown San Francisco, California, in the flatlands on the southern slope of Nob Hill, situated between the Union Square shopping district to the northeast and the Civic Center office district to the southwest. It encompasses about 50 square blocks, is a large wedge/triangle in shape (point faces East). It is historically bounded on the north by Geary Street, on the east by Mason Street, on the south by Market Street and on the west by Van Ness Avenue. The northern boundary with Lower Nob Hill historically has been set at Geary Street. 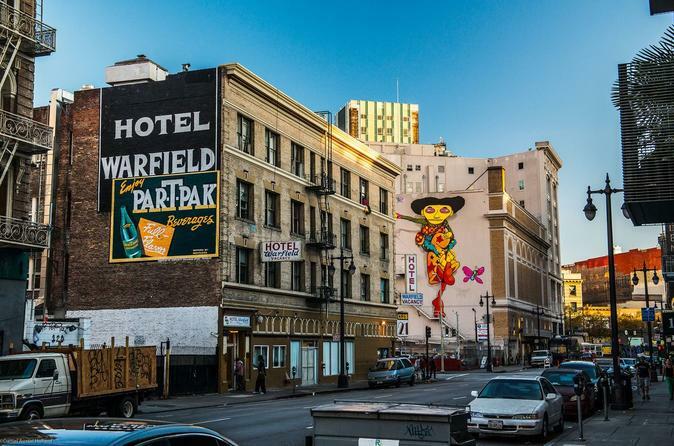 The terms "Tenderloin Heights" and "The Tendernob" refer to the area around the indefinite boundary between the Upper Tenderloin and Lower Nob Hill. The eastern extent, near Union Square, overlaps with the Theater District. Part of the western extent of the Tenderloin, Larkin and Hyde Streets between Turk and O'Farrell, was officially named "Little Saigon" by the City of San Francisco.